Posted: Wed Feb 28, 2007 12:26 pm Post subject: Re: Great Mix! This is a great mix and Know that I voted for the GT posse as the USA top DJ at winter music conference. You guys need to get down to Miami one of these years and show these people on the east cost how far west coast trance as come in a just a few short years. thanks for the vote, maybe one day we might hit up WMC! oh yeah, torrent link in first post, http links will come later tonight! this was an awesome "classic"mix (again) ! Beautiful track selection. Nice rythm. Nice to hear some of the oldies again, specially Delerium !! Great mix guys, hope to see you in Houston someday...the trance scene down here is terrible =/. know any promoters in houston? would love to visit! HTTP links added to first post! I saw that Gil La going to be playing this year and WMC/UFM 08 so I'm defiantly going to go catch his set live (BTW great job on last months VOT! Solid!). Iâ€™ve been to WMC the past four years in a row, this one will make five. It started mostly as an east, south-east cost, European DJ show case. As time when by they started to get a few DJs that would include west cost tracks in there sets (Christopher Lawrence /Junkie XL). 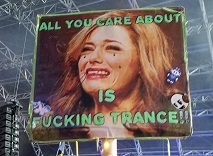 But not real west cost trance DJs. So I'm really glad that Gil LA is going to play a set there and I would love to see the GT posse 2. Todayâ€™s set more then ever proves you have every right/duty to be there next year! if only we promoted ourselves more! congrats to GIL LA! he'll definitely won't disappoint! Have fun at WMC and say hi to him for us! Awesome!! Gil at WMC!! He'll definitely tear it up!! Posted: Wed Feb 28, 2007 11:46 pm Post subject: yeah I'm looking forward to it! Yeah I've been following him for a while. I was really glad when you did last months VOT with him. Nice mix, I was excited to have Elucidate come along for the ride. Btw at 36:05 into the mix (not sure which song), right as the beat drops, the mix takes a noticeable dive in pitch or bps; anybody else notice that? Maybe its part of the song idk. someone actually caught that, good ears mate! That Bossanova song is wicked! I love it. Hey just d/l the mix, yes i am late! Soundz beautiful as alwayz. Keep up the good work guyz!! Hey sorry guys. We got hit by a blizzard, my internet was down for a couple days. I have another design for the CD label. I'll upload tonight after UFC 68 or tomorrow. A blizzard? What about 1 foot of snow? classes were canceled in almost all cool, including college where they haven't closed the college since i'm there, so that makes 4 years! blizzard? hope u guys are ok over there! take your time! can't wait to see it! Gotta luv it! Keep up the good work. Finally, got around to uploading these. GIF and JPG formats. The vocals are great and the lyrics are beautiful.